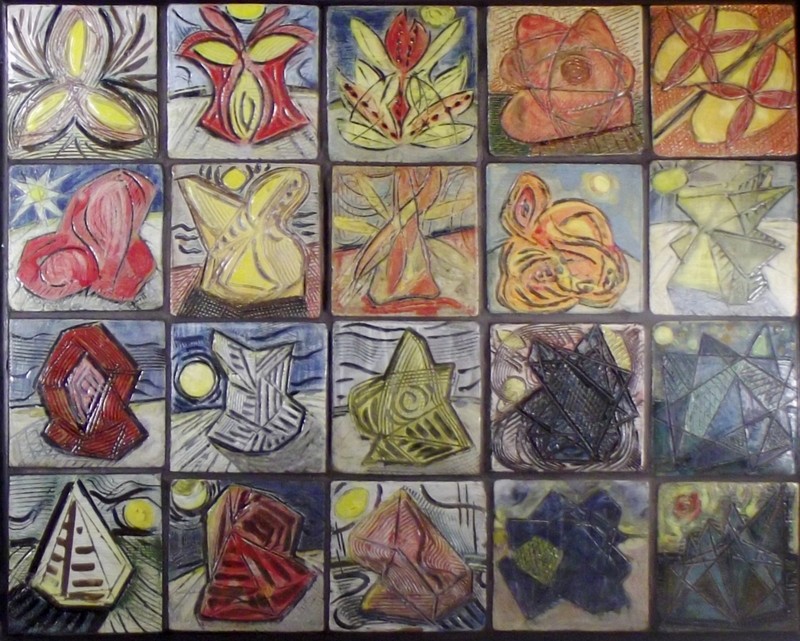 I finally finished the 2nd tile mural in a series on Metamorphosis of form. The first was called Toward Metamorphic Apotheosis. In some ways I think this one is better.